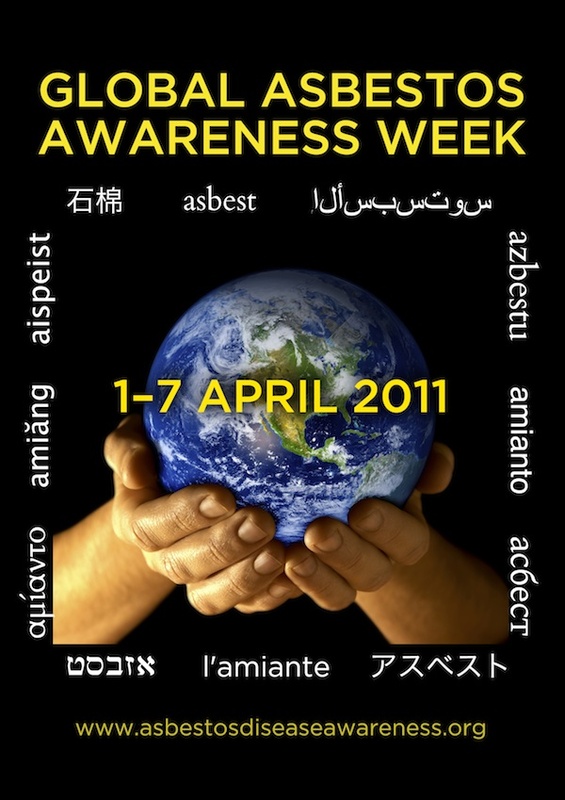 Join us for Global Asbestos Awareness Week (GAAW) on April 1 – 7, 2011 to raise asbestos awareness and prevent asbestos-caused diseases. Over the course of seven days, we will share how asbestos impacts the citizens of the world. Guest writers from Canada, Mexico, Japan, South America, India, UK, and beyond will continue to open our eyes to the devastating wake that asbestos is leaving behind. Guadalupe Aguilar Madrid, MD.MSc. PhD. We will also share the power of social media to share a grass-roots campaign like this one. We will discuss our integrated strategy for using different platforms and how you can help. See what a powerful force we can be when we work together. Want to help spread the message? Here’s how! ACTION ALERT PAGE: short tweets and updates for you to spread through Twitter and Facebook. 4) Share the materials we will be providing the week. The most impactful way we can use Twitter is to become a trending topic. This is how issues like Egypt and Tunisia were recently in the news. So sign up and tweet about GAAW! 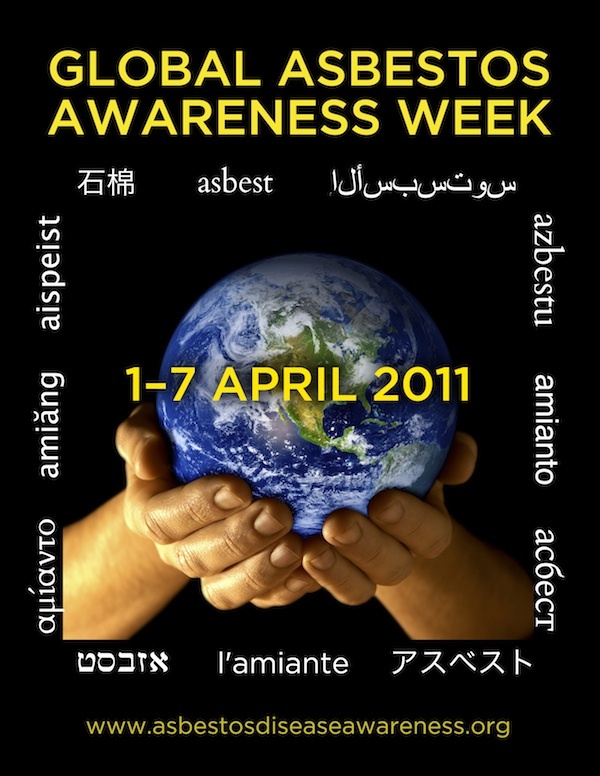 To further spread word about Global Asbestos Awareness Week (GAAW), we are making our artwork available here for download. The files have been sized and formatted in high and low resolutions in PDF and JPG formats. Consider using them on websites and social media, and to print flyers and posters! Spread the word! Join us for Global Asbestos Awareness Week (GAAW) on April 1 – 7, 2011 to raise asbestos awareness and prevent asbestos-caused diseases. Join us and see what a powerful force for spreading awareness we can be when we work together. A Disability-Adjusted Life Year (DALY) is defined as the measure of the overall disease burden expressed as the number of years lost due to ill-health, disability, or early death. But these aren’t just numbers; these are patients, families, and friends who have been impacted by preventable deadly diseases. So ink your calendars and sign up to be a GAAW Supporter! The time is now, and together change is possible! This entry was posted in Blog and tagged ADAO, Asbestos Disease Awareness Organization, asbestos-related diseases, ban asbestos, environmental, facebook, GBAN, Global Ban Asbestos Network, Linda Reinstein, media advocacy, mesothelioma, social media. Bookmark the permalink.